So you love the idea of PackageFox, and can’t wait to get started, but you want to make sure it is going to work with your FedEx account before you get your hopes up? We understand. It is very easy to verify if we can work with your FedEx account and the entire process can be done online. There is no extra cost or anything special, the account just needs access to the “FedEx Reporting Online” and instructions can be found here. 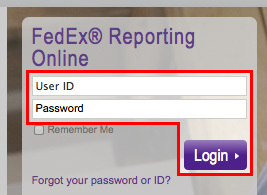 Once you log in you can see the full set of instructions to check your FedEx account. But this is PackageFox and we are all about making your life easier so here it is. To make full use of PackageFox, please be sure you have your FedEx account set up correct. Here are the steps to do that. 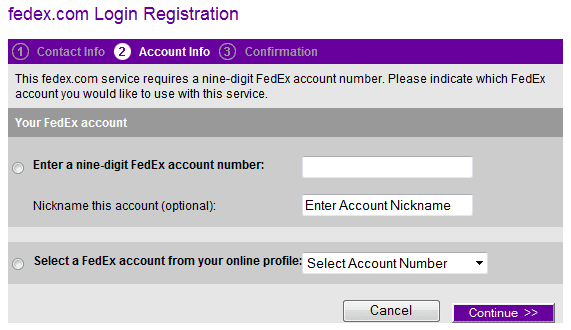 Login with your FedEx account. 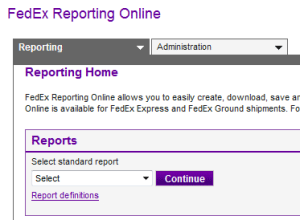 If you see the “FedEx Reporting Online” screen (below), then you’re all set! Go ahead and add your account to PackageFox. Otherwise…go to the next step. 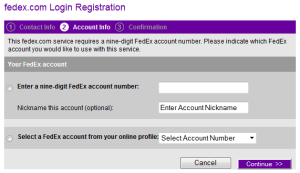 If you see the “fedex.com Login Registration” screen (below), then you’ll need to confirm your contact info and account info, and then you can add your account to PackageFox. That’s it. If it’s working you are now ready to start saving time and money by letting PackageFox track down your FedEx refund for late delivery. If you are ready to get started with PackageFox go here and sign up for a free account. It only takes a minute and is easy to set up.